Panther Metalflow™ utilizes the best of zinc die casting and precision fixturing to produce strong, net-shape assemblies. Metalflow™ can replace pressing, welding, gluing, staking and crimping. Components to be assembled are placed in a special zinc die casting tool. The tool closes on the components and molten zinc alloy is injected into the cavity under very high pressure. When the tooling opens, the alloy has joined the components into a strong, net-shape assembly. As molten zinc alloy solidifies it shrinks uniformly. This creates a very strong bond between the solidified alloy and components placed in the die cast tooling. Zinc die castings can be created with very complex configurations. 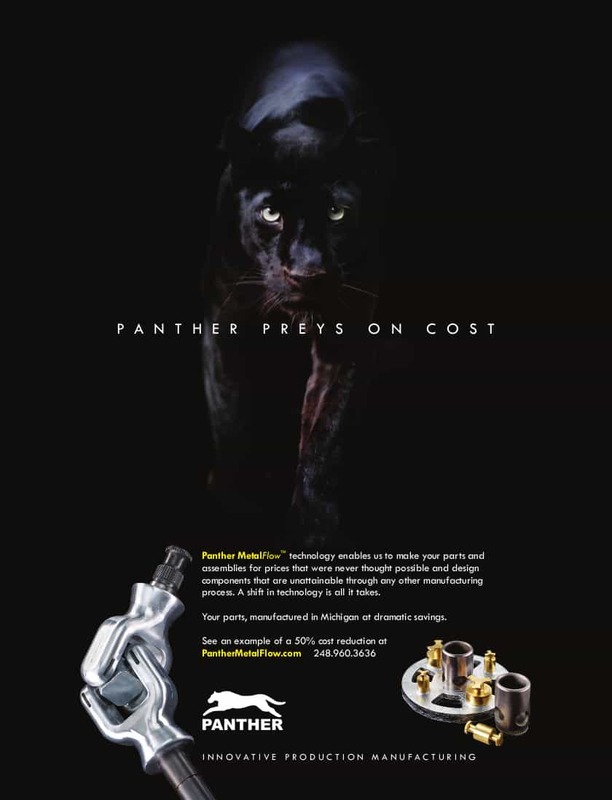 As a result, assemblies created with Panther Metalfow™ can include features that would otherwise have to be machined. Dissimilar materials can be assembled. Even plastics can be cast into assemblies using Metalflow™. These benefits combined with production rates up to 800 pieces per hour add up to cost savings over traditional assembly and machining methods. Why spend time and money removing material when we can mold strong, complex features to finished tolerances? Who should be interested? Purchasing, Quality & Engineering. Please see examples below. View properties of EZAC alloy at Eastern Alloys, Inc.